You have a gift, it’s time to discover it! Have you ever wondered, what is my soul/life’s purpose? Why did I come here and what am I supposed to be doing? This soul assessment and Aura Reading is for you if you feel you are meant to be doing more with your life. If you need some direction or want to uncover your unique gifts … then this assessment is for you! If you are wanting to live a purpose driven life, then assessment is for you! Assessments usually completed within 2 working days, sometimes sooner depending on my workload, but never over 7 days. To order your Aura Reading please Click Here for More information & to see Client Testimonials! ATTENTION: There are no refunds on Aura Readings. 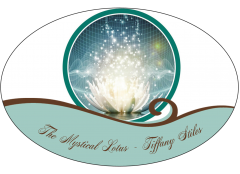 You Can Follow Tiffany On Her Facebook Page By Clicking Here To Get All Of Her Current & Daily Inspirational Posts & Energy Report Updates. *Creator & Administrator of Here’s To Your Health & Wellness Page.